The MFA program at The University of Baltimore focuses on Creative Writing and Publishing Arts. Part of publishing is understanding the history of books; how they are marketed; the different formats that exist; and understanding how books are made. The pictures you find here are just some examples of some different formats of books I have made in my Book Arts class, and some others that I made at home. This is an example of drum leaf binding. I was making three issues of the same nonfiction essay I wrote. You can see the decorative paper off to the side that is meant to be the cover paper. The actual book signature isn't visible in this photo, this is only the cover and the book cloth. This is another example of drum leaf binding. In the upper left hand corner you can see the actual text block being glued together with PVA and held with clips to keep the glue from slipping into the pages. 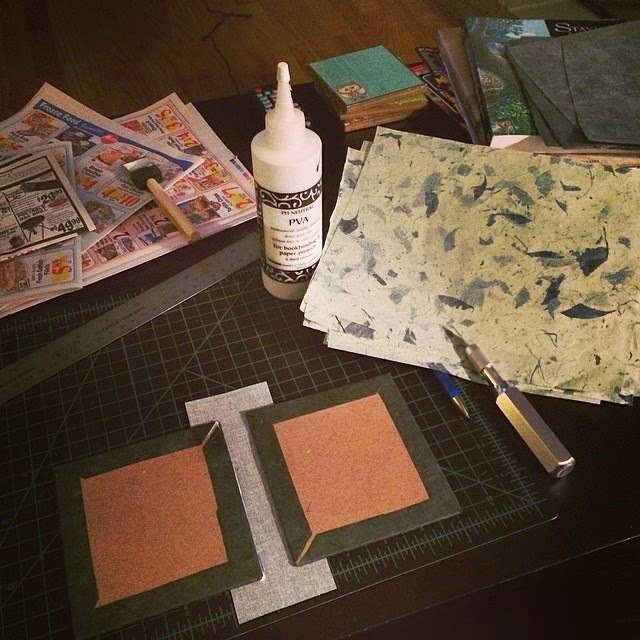 The top right is the cover and spine, then the gluing in of the text block and the use of wax paper when pressing to retrieve any excess liquid from the glue. This was the starting supplies for my Book Arts Midterm. We had to make 10 issues of a soft cover book. I chose Emily Dickinson Poem's on Time and Eternity. 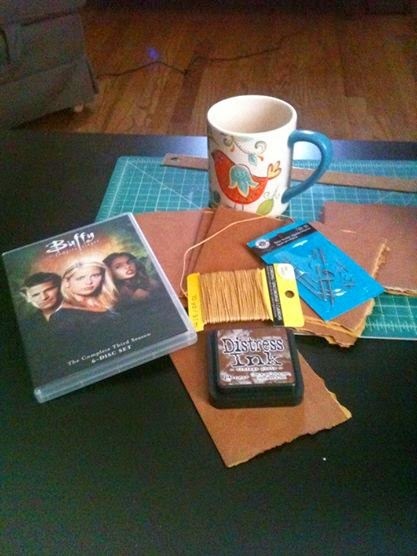 I have some waxed thread, distressing ink, much needed coffee, and of course - some Buffy to entertain me as I sewed. This is the interior of the pamphlet. It's a simple stitch I did with waxed gold thread. 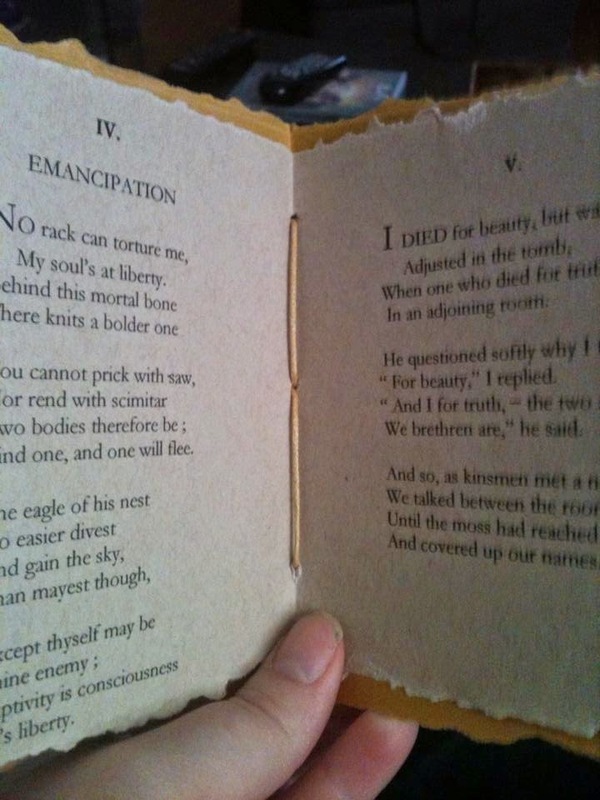 You can see the deckled edges which was accomplished by scoring and tearing the paper. I later aged the whole thing with distressing ink. 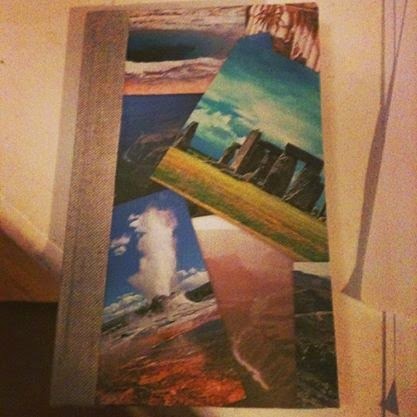 This is the pre-sewn covers, I chose a paper that felt like leather. The interior paper is actually just tan sketchbook paper. 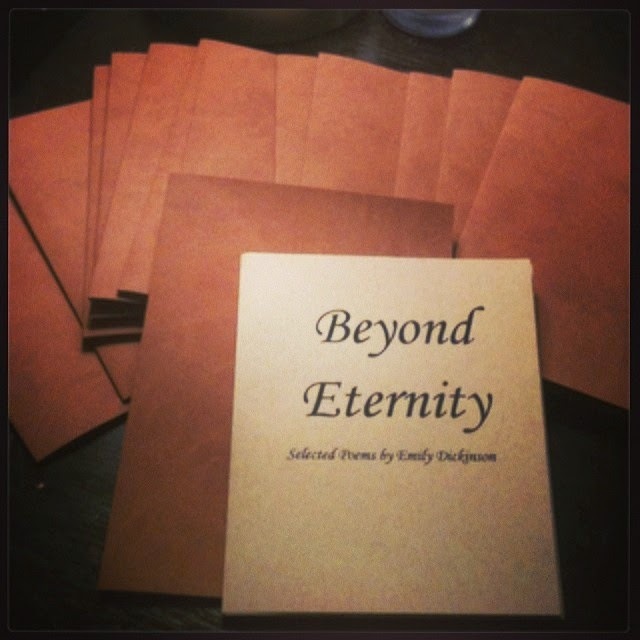 This is a book I made for another poetry class. I made a collage of public domain photos, each of them featuring the places the poems are about. This is another drum leaf bound book. 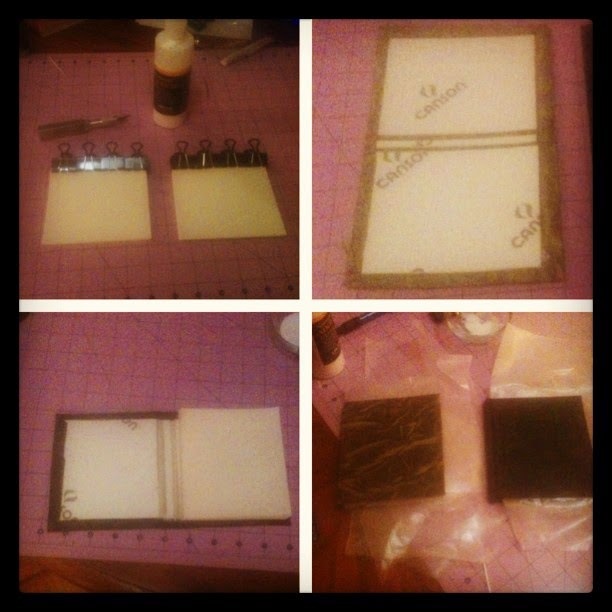 During Hurricane Sandy we were lucky enough to have power, so I spent the day making parchment. 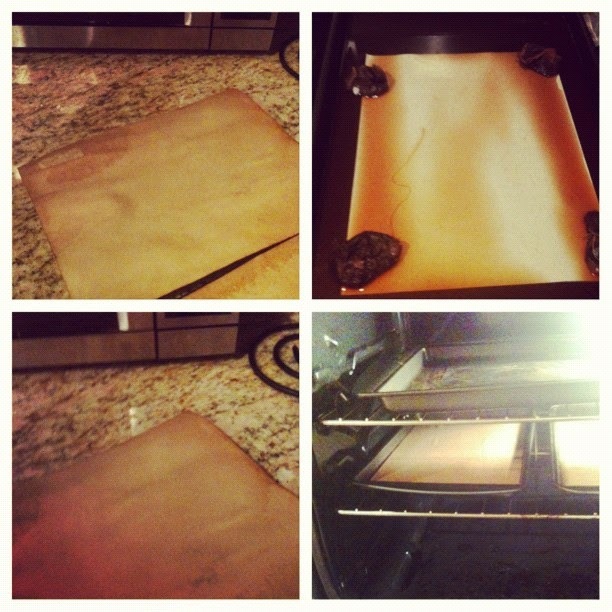 Basically dying paper with tea and drying it, the oven added an aged look around the edges.